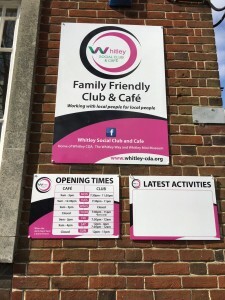 Whitley Cafe on Northumberland Avenue continues its improvements and has recently had new signs put up. It’s hoped these will encourage more customers to come in and try the tasty coffee and cakes on offer! Well done to Mo, Trish, Claire and all involved. This entry was posted in Ward News on March 22, 2016 by Ashley Pearce.